Notice! Hotel Metur does not accept reservations at this time. Please try again later. Hotel Metur Contact. Metur Design Hotel 11-minute walk away to beach. Metur Hotel is 500 meters from the center of Antalya and the Old City of Kaleiçi and offers rooms with private balconies. The nearest beach is 4 km away and offers an outdoor swimming pool and free Wi-Fi access. All rooms of Metur Design Hotel are decorated with modern furnishings and warm colors. The rooms are equipped with amenities such as cable TV and air conditioning. The large pool area has comfortable sun loungers and a shaded seating area. Guests can also relax on the hotel's terrace. The hotel's on-site restaurant offers a variety of Turkish and international dishes. Drinks with local breezes are served in the bar overlooking the swimming pool. Metur Design Hotel is a 15-minute walk from local attractions such as Hadrianus Gate and Yivli Minaret Mosque. Konyaalti Beach is 20 minutes away by tram. 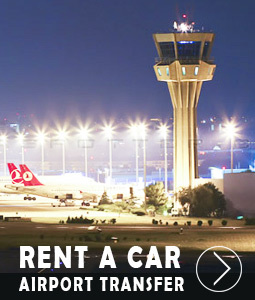 Antalya International Airport is 10 km away. This is the most favored segment of our guests in Antalya according to independent evaluations. Cancellation/ prepayment : Cancellation and prepayment conditions vary by room type. Hotel Metur accepts VISA and reserves the right to temporarily hold an amount prior to arrival. Hotel Metur accepts Master Card and reserves the right to temporarily hold an amount prior to arrival. 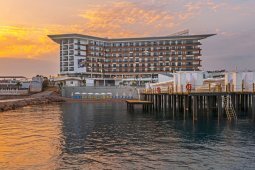 Hotel Metur accepts Maestro and reserves the right to temporarily hold an amount prior to arrival. The 2-star Metur Hotel provides quick access to the theater, the mosque and the museum. This hotel is an example of Mediterranean architecture opened in 1990 and completely restored in 2010. This property is only available in the bed and breakfast concept. All further older children or adults are charged EUR 20 per night if extra beds are available. Extra bed capacity in one room 1 (maximum). All types of extra beds are available upon request and require management approval. The additional costs are not automatically included in the total unit and must be paid separately during your stay. Fijn en net hotel in een woonwijk op loopafstand van de bezienswaardigheden. Vriendelijke mensen, fijn zwembad om even af te koelen, goed en uitgebreid ontbijt en nette schone kamer. Zeer goede prijs kwaliteitverhouding! Free wine accomodations and room decorations are available.